Top 5 Healthy Milkshakes To Make At Home! Craving for some milkshakes but afraid to get off track with your diet? Don’t worry! 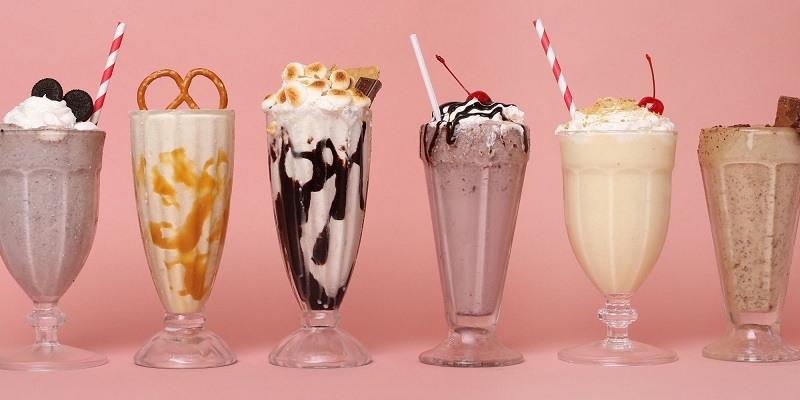 You can now make your own cold and dreamy shakes that are equally delicious and totally guilt-free milkshakes at home. – Add water, milk and strawberry crush to the blender jar. Blend for a minute. – Then add ice cubes and strawberries, blend again and serve the yummy strawberry milkshake. – Soak the cereals in the hot milk for 30 minutes. – Strain and then freeze in an ice cube tray. – Blend the milk cubes. Serve immediately. – In a blender jar, add all the ingredients. Churn until smooth. – Pour into tall glasses and serve chilled. – Blend all ingredients in blender. Add ice if needed for a thicker consistency and blend again. – Crumble another oreo on top and mix in if desired. -Place all ingredients into a food processor and blend until smooth and creamy. -Be sure to give it a good blend, mixing for longer makes it creamier. -Pour into glasses and serve immediately. Which one is your favorite? Tell us in the comments section.